GOLD COAST — Don't bring your gym clothes to Fitness Formula Clubs on Clark Street Wednesday evening. If you're headed to the Taste of Gold Coast, put on your cocktail attire. The Fitness Formula Clubs of Gold Coast, 1030 N. Clark St., hosts the sixth annual Taste of Gold Coast, which will bring cuisines from 15 nearby restaurants including Glazed and Infused, Cape Cod and Lou Malnati's. A portion of the proceeds from the event will be donated to the North Dearborn Association. According to Melinda Joseph, co-owner and vice president of Raymi Productions, new to the Taste of Gold Coast are Roy's Restaurant, 720 N. State St., and mEAT, 215 E. Chestnut St.
"I don't know about you, but some people can't afford to go to Gold Coast restaurants every weekend or every night," Joseph said. "For the cost of one dinner, you get to try dinner from all these restaurants." At $60 per ticket, guests will be able to feast on dishes from neighborhood restaurants, try three drinks from Milestone Wines and Goose Island's Belgium style ales and win raffle prizes, Joseph said. The event is sold out. Each restaurant will feature a special dish. 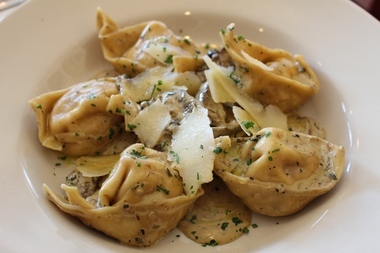 Francesca's on Chestnut, 200 E. Chestnut St., is serving Cappellacci Tre Funghetti, a homemade wild mushroom filled pasta in a porcini parmesan cream sauce with white truffle oil, according to Kristi Koszewski, social media manager for Francesca's Restaurant Group. The North Dearborn Association, the nonprofit known for organizing the annual Dearborn Garden Walk, has participated in the Taste of Gold Coast in years past, according to Michele Strudl, NDA's president. Given that the event is a tribute to the Gold Coast neighborhood, Joseph said the company wanted to help out the NDA, because it has made efforts to preserve and beautify the neighborhood. "We felt that since our event was a tribute to the neighborhood and they're very nice group of people with limited resources, so we're happy that any level of contribution still makes a difference," she said.